In mid 2016, a client contacted Pulsar to help solve some problems with an installation in a remote location. 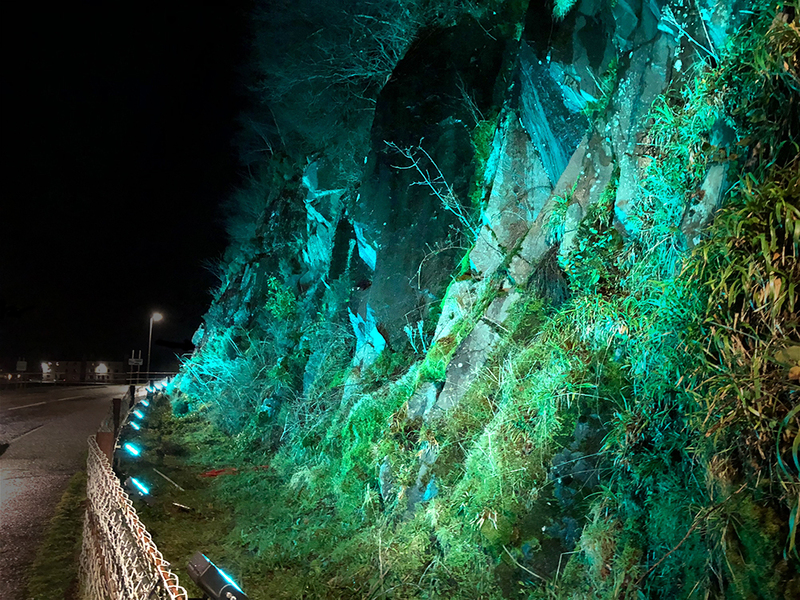 A year earlier, the client had purchased 29x 30W RGBW floodlights to illuminate an 80m long rock face at the Mallaig Marina on the west coast of the Highlands in Scotland. The lights were to provide an eye-catching view for boats and ferries passing/entering the marina. Sadly however, one-by-one the units started to fail. Unable to resolve the problems with these lights, the client needed a quick and robust solution. The project proved to be challenging; firstly, the harsh extremities of the marine environment and climate called for a very robust fixture. 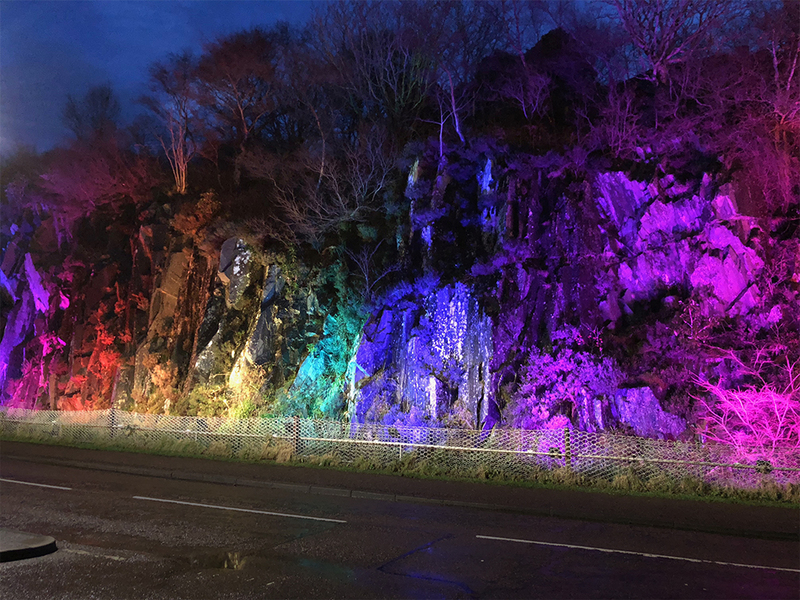 Additionally, the natural rock face varied in heights from 5-8m in places, and so we could only position luminaires at varying distances of between 0.5m and 2m away from the rock face. We also needed to consider the numerous LED streetlights illuminating the road. 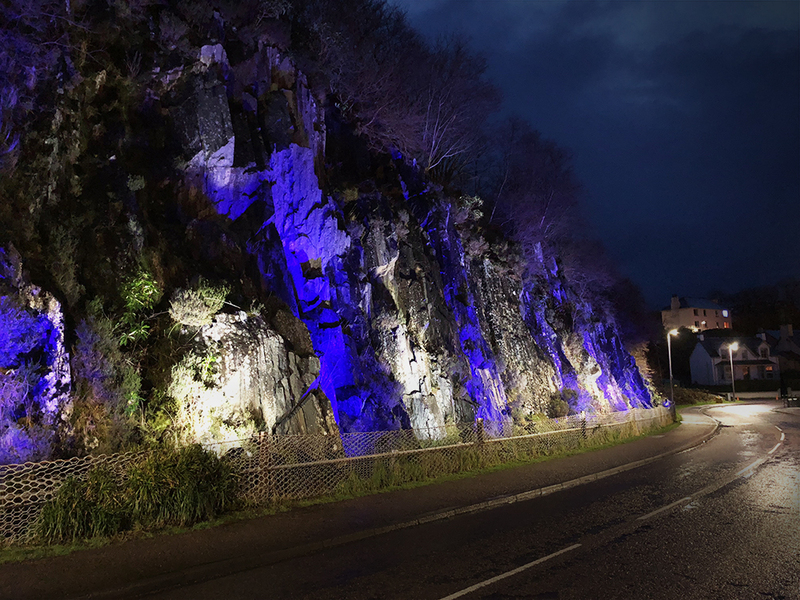 The brief was to illuminate the rock face and the trees/shrubbery along and above the entire 80m stretch. After a detailed site survey and inspection had been undertaken, several options were proposed and tested. Consistency was key and careful planning meant taking into account positioning, angling, output and functionality of the luminaries. 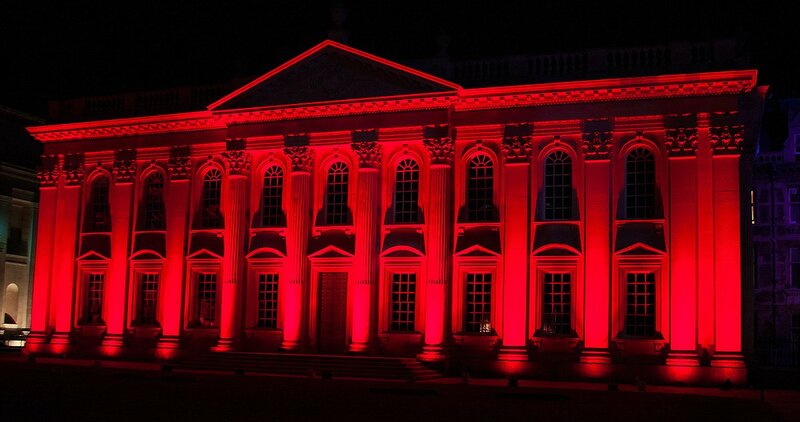 Eventually, following site tests, the client chose 15 of our Luxeos 9 RGBW LED flood lights. These fixtures are fully RDM/DMX compatible, and have anti-corrosion treatment offered as standard. With a carefully selected beam angle, we were able to cut the total number of units used initially in half, while still providing an excellent coverage across the rock face. Installation was carried out by a local electrician, and commissioning and programming was done by our very own Snowy/Paul Johnson. Using our OS1 DMX controller, an operator can control each individual unit. Additionally, at the touch of a button, the client can choose from a number of bespoke scenes and sequences. For anybody heading towards Loch Lomond or any Harry Potter fans, the train journey from Glasgow to Fort William is a must. With a beautiful spectacle to see at the end of it, why not visit?